Is Jet Airways heading for a crash-landing? Bharat Sanchar Nigam (BSNL) may get the 4G spectrum it sought as part of the revival package. The Department of Telecommunications (DoT) is believed to have firmed up the proposal of allotting the airwaves to the sick public sector telecom company besides giving in to the company's other demands. It is learnt that the company would be allotted the liberalised spectrum in the 2100 megahertz band at the market prize and would be asked to match the auction determined price in the near future. The company, however, had said it wanted the 4G spectrum through 50 per cent capital infusion and 50 per cent market price to be determined from 2015 auctions. "BSNL would be given the airwaves at the market price and will be asked to revise the same price after the upcoming 5G auctions. The spectrum would be granted from the 2100 megahertz band earlier earmarked for 3G but was later liberalised," a DOT official said. In order to take a decision the allotment of 4G spectrum, the DoT had sought views from the Telecom Regulatory Authority of India (Trai) which said that the final decision rested with the central government. As part of the revival package, BSNL may also get relief in the form of voluntary retirement scheme but without factoring in the pay revision as demanded by the company. BSNL is grappling with financial woes and has sought intervention from the telecom department. The telco wants to be allowed to rent its land (it has about 7,500 plots in the country with a rough valuation of Rs 70,000 crore) to other central public sector units instead of selling them. The Union government is also working on a bailout package of Rs 13,000 crore for BSNL, which includes Rs 6,365-crore voluntary retirement package and 4G spectrum allotment through a Rs 6,767-crore equity infusion and monetising real estate. 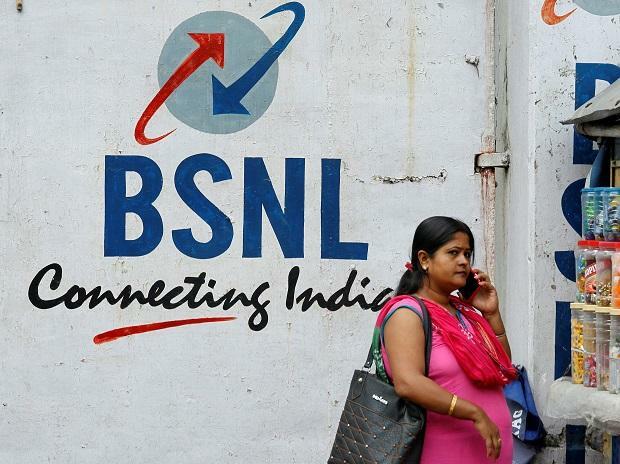 BSNL's debt stands at Rs 13,500 crore, while that of the telecom sector is Rs 6.1 trillion. The proposal under consideration will be sent to the Cabinet soon for its approval. BSNL along with state-owned Mahanagar Telephone Nigam Ltd submitted their respective revival plans to the government in which they articulated a slew of measures to bring the two companies back on track.